First up, Stephanie Lynn at Under the Table Dreaming shared a fun wreath made from recycled plastic bags. 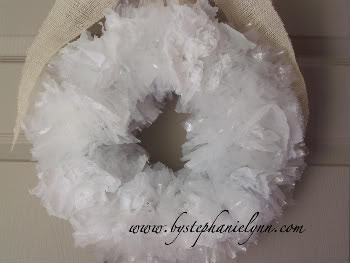 It reminds me of the feather wreaths that have been so popular recently...and at a fraction of the cost!!! Molly at A Bit O' Shine shared a plethora of earth friendly tutorials. Check them out here. 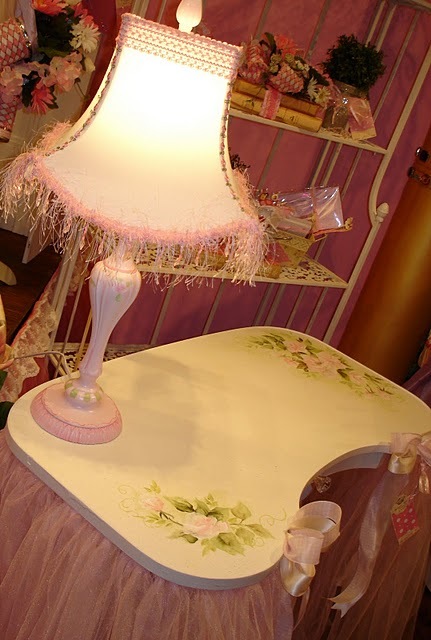 I just loved the girly desk featured by Creations from my Heart. Hard to believe the original desk was a curbside find. Talk about upcycling! Uh-huh...lovin' this dreamy table from Self Confessed Lamp Tramp. Made from a planter? Divine! Pretty recycled craft storage from Remodaloholic. Love. it. 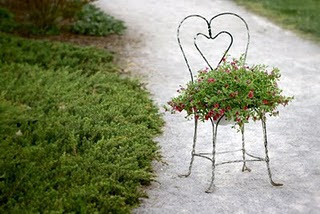 The parlor chair planter from Lemon Tree Creations is just about the cutest thing ever! Why can't I find vintage ice cream parlor chairs on the side of the road? And finally, Notions on Nesting shared a recipe for homemade Laundry Soap...cuts down on package waste, saves you a bundle! Got to love that! So there you have it! Earth Day-inspired Frugal Goodness!! Just a note...May sponsorships on the Shabby Nest are still available...email me for details!! Also, the Blog Parade of Homes is still going strong. You can see my post here...then click through the other amazing homes! before we got our new washer & dryer, which requires the high efficiency detergent, I used to make my own detergent too. LOVED doing that. So easy, MUCH cheaper, and I made mine with Ivory soap. I LOVE the smell of Ivory soap. 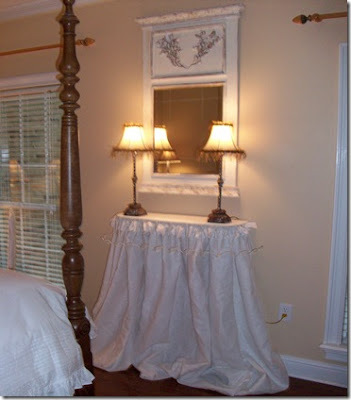 I love your linky love posts. :) It is fun finding new blogs to read! Thanks again for giving me some linky love for my homemade laundry soap! I loved seeing your home tour on the parade.